I feel like we’re all just living life in search of our next taco (side of guac, please). Tomorrow is National Taco Day so we figured now would be a time to give you a fun idea for how to celebrate. We’re all about a traditional taco with beef and cheese, or something extra fun like carnitas with salsa verde. But sometimes you’re just craving something sweet…. but still want tacos…. always. So why not have both?! 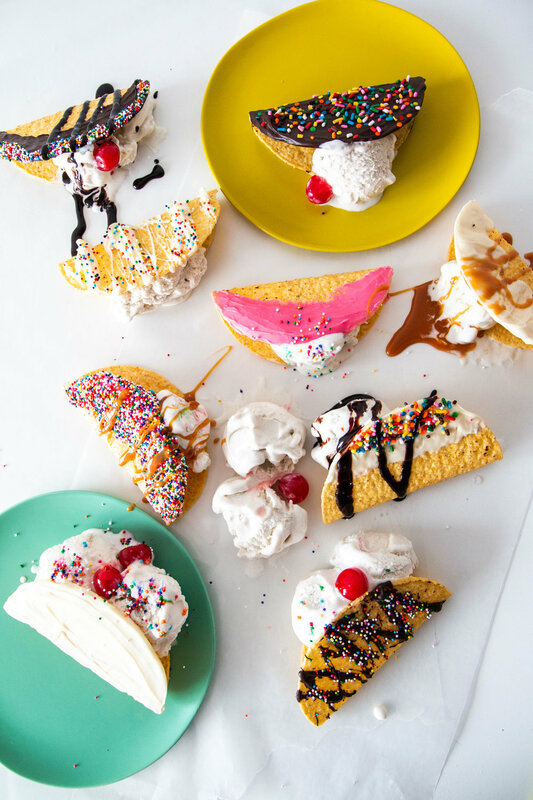 Dessert tacos are here to save the day when you just can’t choose one. 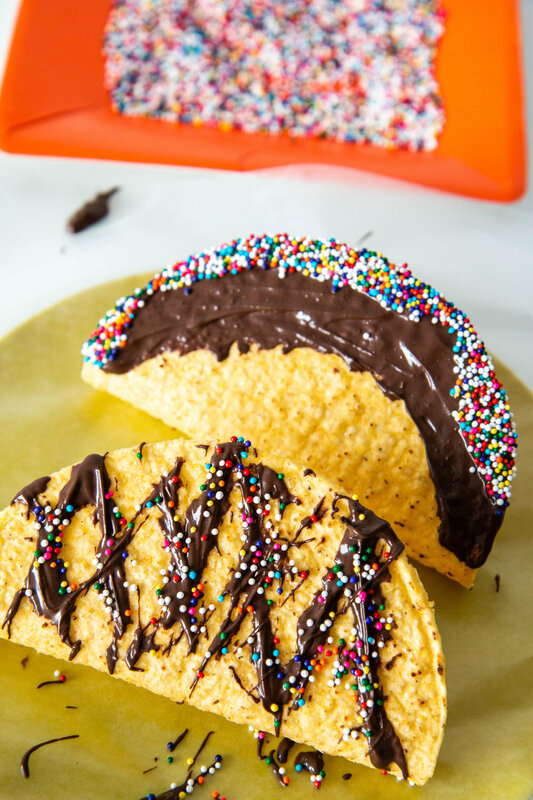 We took regular taco shells, melting chocolates, ice cream, and fun toppings and threw them all together! Melt the chocolate onto the shells, and dip them into some sprinkles if you want! Then stick them into the fridge for a little while to set. Lastly, add your ice cream and top away. Cherries, caramel, chocolate sauce, and more! YUM!